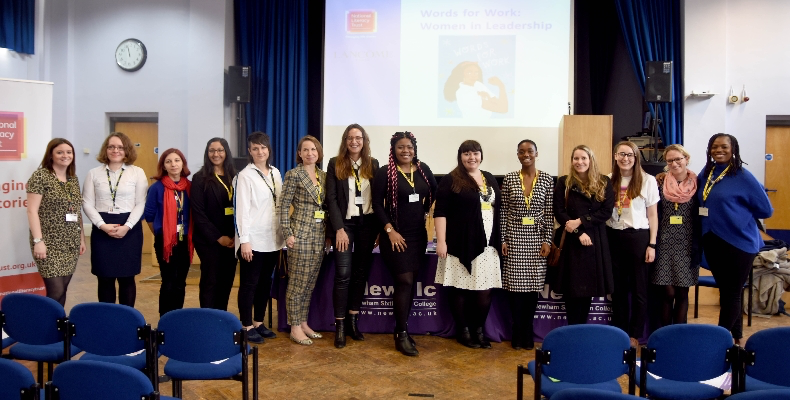 Since October 2018, NewVIc has been working with the National Literacy Trust to deliver ‘Words for Work: Women in Leadership’ – a programme which aims to engage and empower our future female leaders. The ‘Words for Work: Women in Leadership’ programme, focuses on challenging stereotypes and raising aspirations of students by developing their literacy, communication and leadership skills and preparing them for the workplace, by learning how these skills can be used to overcome the barriers women face in their careers. The programme culminated in a fantastic ‘Women in Leadership’ panel event early December, which was attended by over 200 female students from across East London. The same day, seven NewVIc students were invited to the sold-out event ‘Becoming – An Evening with Michelle Obama’ at the Royal Festival Hall, to discuss her new memoir. Michelle chatted with author Chimamanda Ngozi Adichie about everything from her childhood spent in the South Side of Chicago to her years as an executive, motherhood and her time as a resident in the White House. Michelle Obama stands for race equality and gender equality. She just wants to make this world a better place and she believes in us young girls, that we have the power to make this change, and that’s why she particularly addressed us because we are the younger generation. As she says, she is laying the foundations for us to become the future leaders.